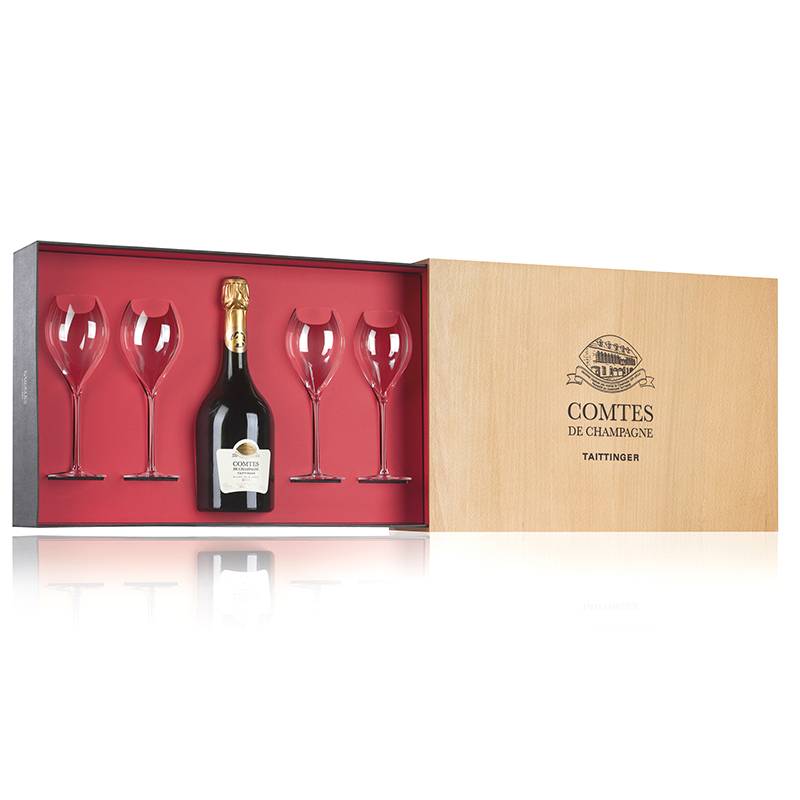 Taittinger Comtes de Champagne Blanc de Blanc 2006, Presented in with four tulip champagne flutes within a beautiful lined wooden gift box. Taittinger Comtes de Champagne Blanc de Blanc 2006 is made entirely from chardonnays from only the best vines in the prestigious Cote des Blancs. It is only produced when the harvest is of exceptional quality worthy of a vintage year.